*This post is sponsored by Shutterfly but all opinions are my own. This post also contains affiliate links. 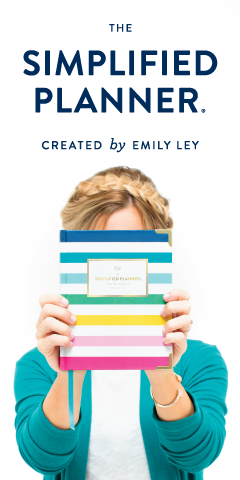 Thank you for supporting the brands that support Lindsay's Sweet World. 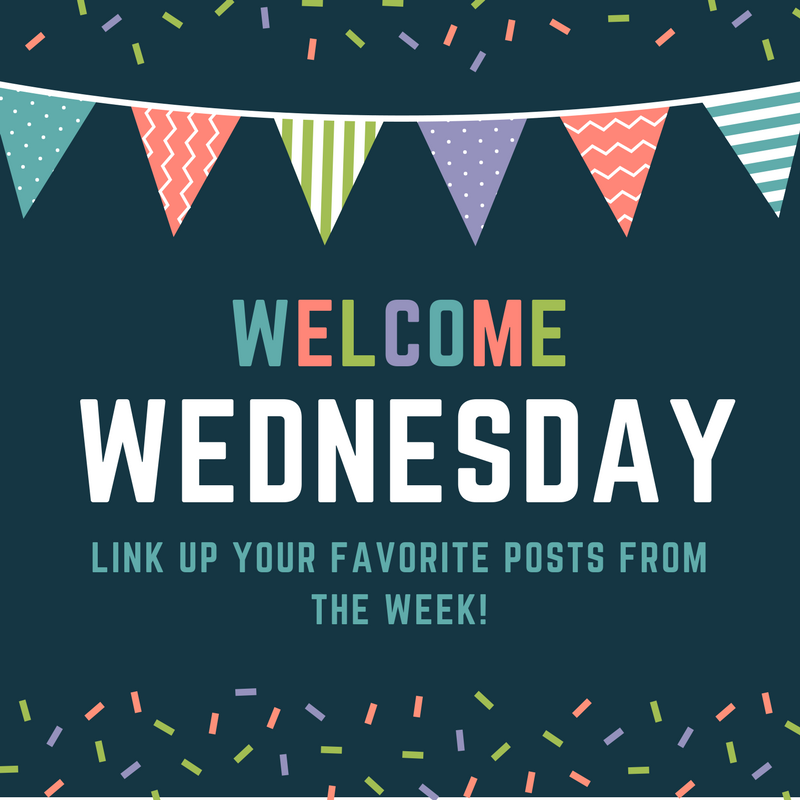 Did you see my post yesterday? 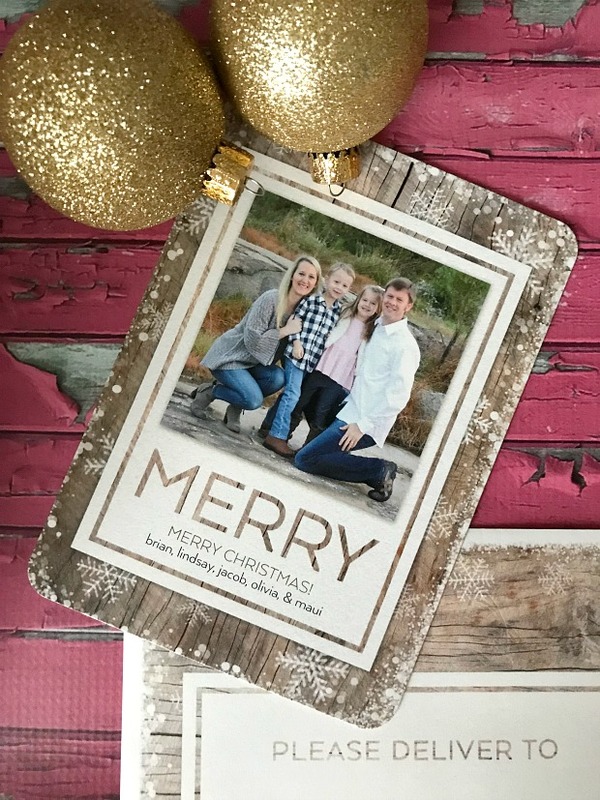 I shared all of our fall family photos for 2018 and today is our big Christmas card reveal! 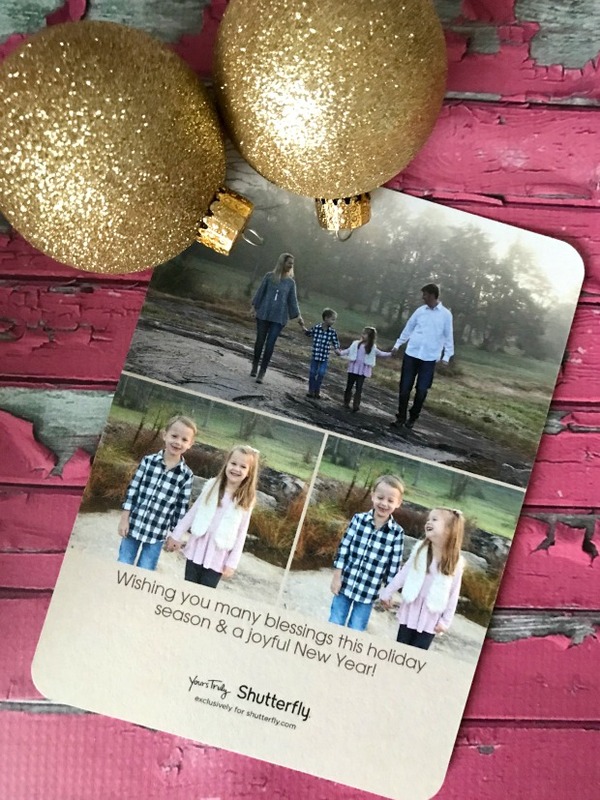 Shutterfly has been my go-to for Christmas cards for years. As a matter of fact, I have used them for the last seven years and they have never once let me down. 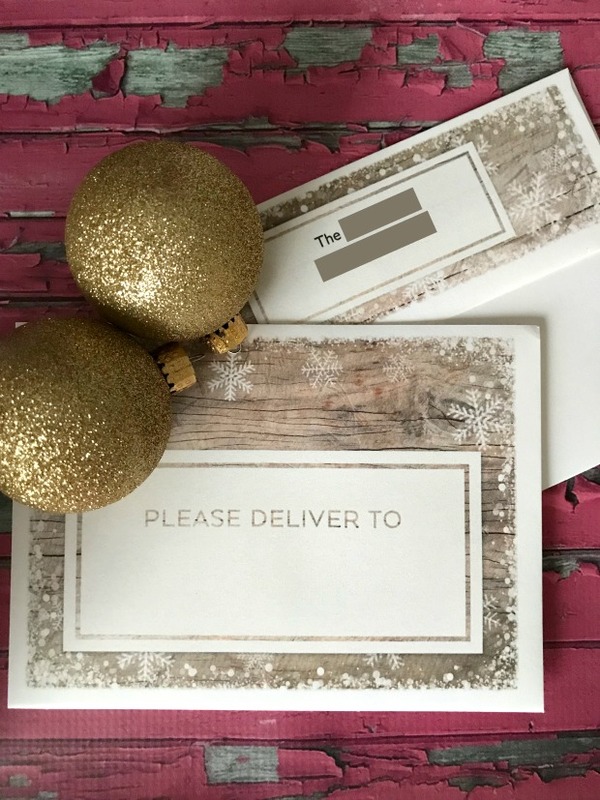 Their website is incredibly user-friendly, the quality can’t be beat, and they have countless design options – neutrals, colors, foils, and even glitter. All the heart eyes for the glittery cards! When selecting Christmas cards, I always try to find a card that matches the colors in our outfits. For the last couple of years we have worn fairly neutral colors and we stuck with the neutrals once again this year. I fell in love with several different options, but ultimately landed on this one because it is so different than our cards from the past. Without further ado, our 2018 Christmas card! This year I opted to fill the back with photos instead of our usual one or two small ones. There are so many picture and text options to choose from, so you can find pretty much any combination to suit your needs. This year I also opted to snag the matching envelopes. 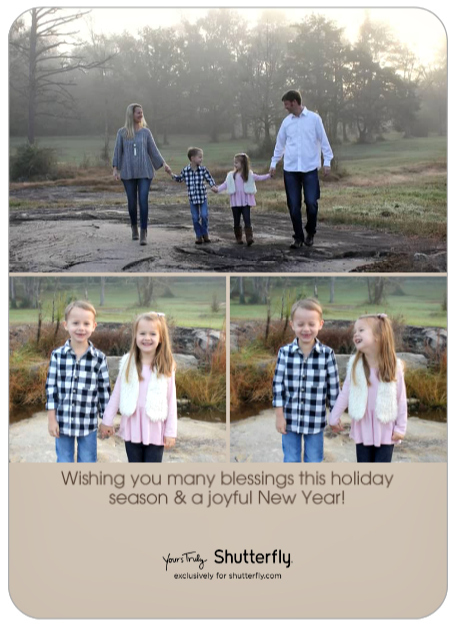 I think it adds such a fun extra touch to the overall Christmas card. And the best part? Our return address is preprinted right on the envelopes which saves me so much time in the long run! You can also design matching return address labels if you prefer. 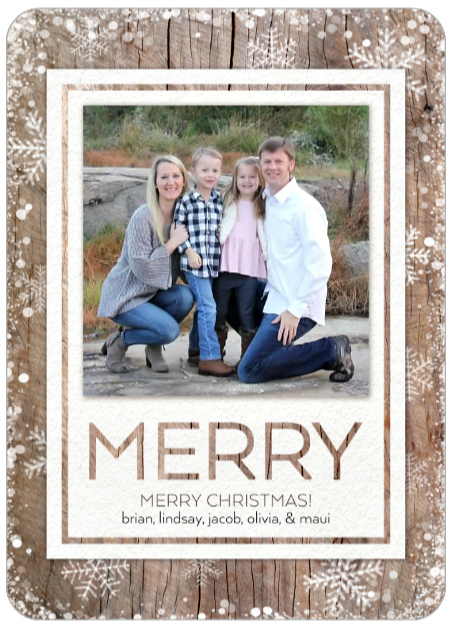 I absolutely love how ours turned out… this might be my favorite card yet! There were honestly so many great design options this year that I had a hard time deciding which one to use. I kept designing different ones and texting them to B while he was at work and I’m sure he got pretty tired of me that day. Haha. There were so many fun, colorful options to choose from this year, but I decided not to go that route since they didn’t jive with our outfit colors. However, next year I’m going to make it my mission to find a more colorful outfit combo for our family so we can do one of the colorful cards. They are just so fun! 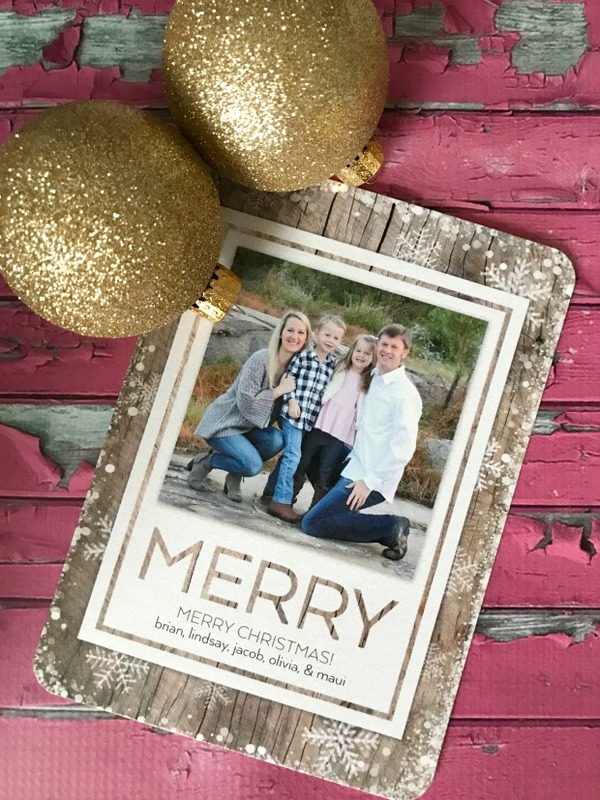 Order your Christmas cards here and be sure to check out which promotions they are running when you order. You can often save a lot of money and/or get free shipping on your order! Soooo good! I'm going to make mine with Shutterfly this year too and we take our photos this weekend!! Happy thanksgiving beautiful! I love the colors and the layout. I love everything about your cards and great photos! LOVE these, Lindsay!! I love how you try to match with the colors in your outfits -- the pictures look amazing too! They look great! I love shutterfly for everything. Oh, Lindsay, I love it! Great job! I LOVE YOUR CARD! So pretty and festive. I love your card! I need to get on this! 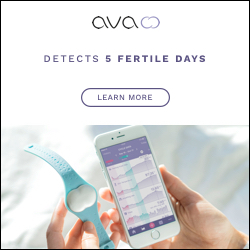 I like ordering mine on Cyber Monday so I can have them ready to go the first of december. 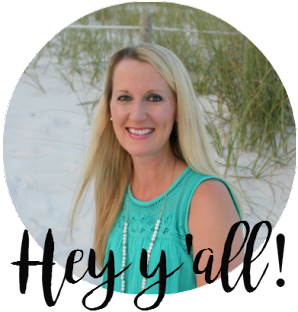 We have been using Shutterfly for the last several years as well, and love all the different choices. Yours came out great! These turned out SO GOOD! I love how the card and your outfits compliment each other. 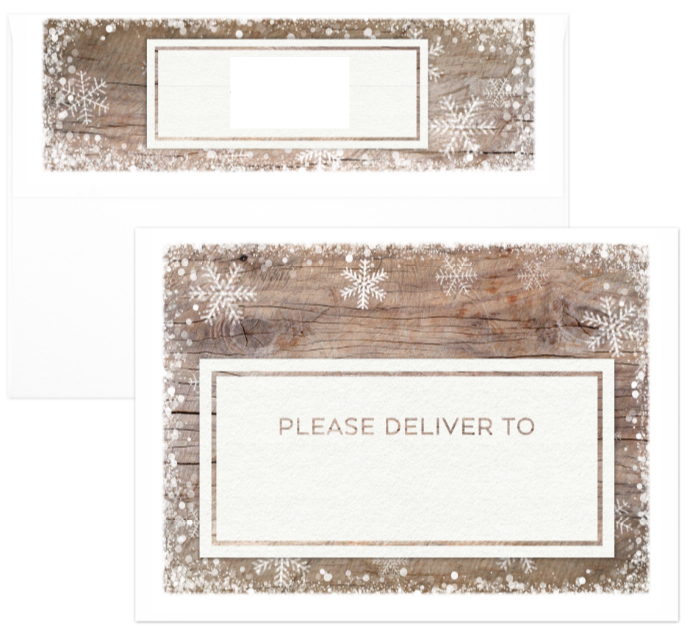 And you cannot go wrong with the preaddressed envelopes - makes life so much easier!